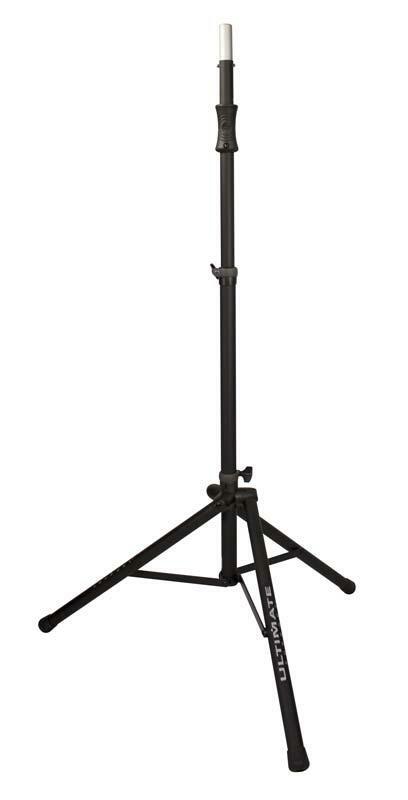 The Ultimate Support TS-100B (Item#16759) is an air-powered speaker stand tripod that lifts and lowers speakers with the use of an air-assist shock. The TS-100B is the easiest speaker stand to use thanks to the internal air-powered shock that literally raises the speaker for you. 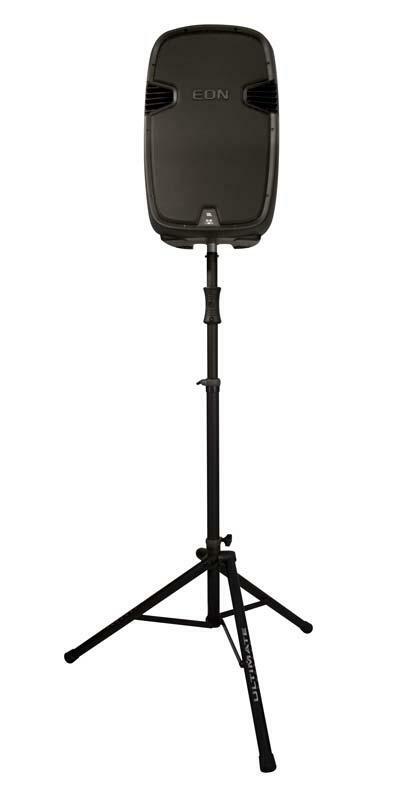 The stand's internal shock easily raises speakers weighing 50 lbs and less with no effort from the user (the Mackie SRM Series, JBL EON Series, and QSC K Series all weigh far less than 50 lbs, for instance). And, the TS-100B requires very little effort from the end user to raise speakers weighing more than 50 lbs. When you're ready to lower the speaker, we've provided a convenient and ergonomic hand grip from which you can lower the speaker - with just one hand. 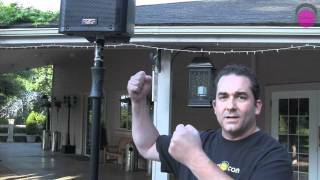 There's never been an easier, more convenient, or safer way to set up and tear down speakers. 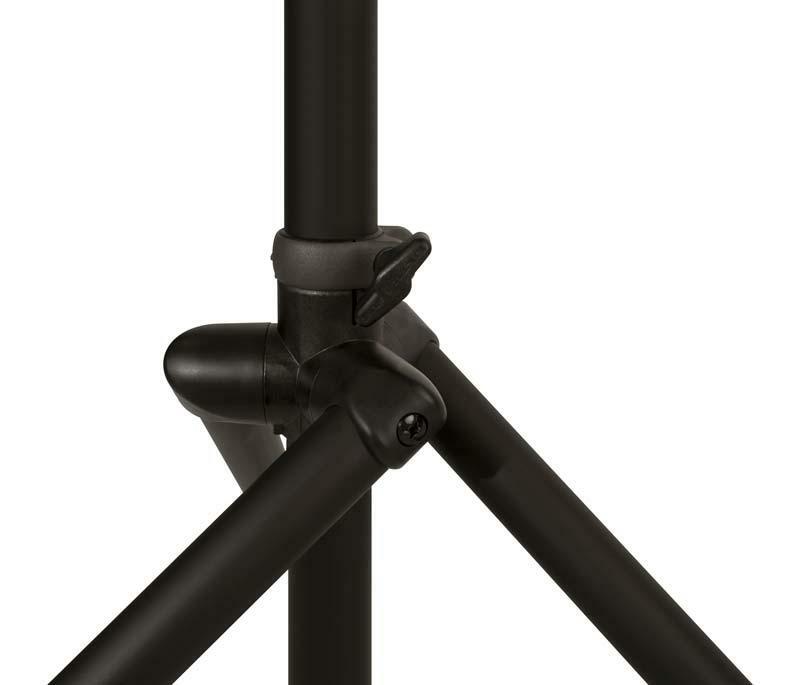 The TS-100B's offset tripod base design provides more support than typical "off-the-shelf" speaker stands. The design makes for very tight internal fittings, doing away with unnecessary sloppy leg problems, and includes a super strong die-cast metal collar that prevents over-tightening and breakage issues associated with all plastic designs. The entire stand (legs, mast, and telescoping tube) uses oversized, heavy-walled aluminum tubing for durability, functionality, and weight savings. 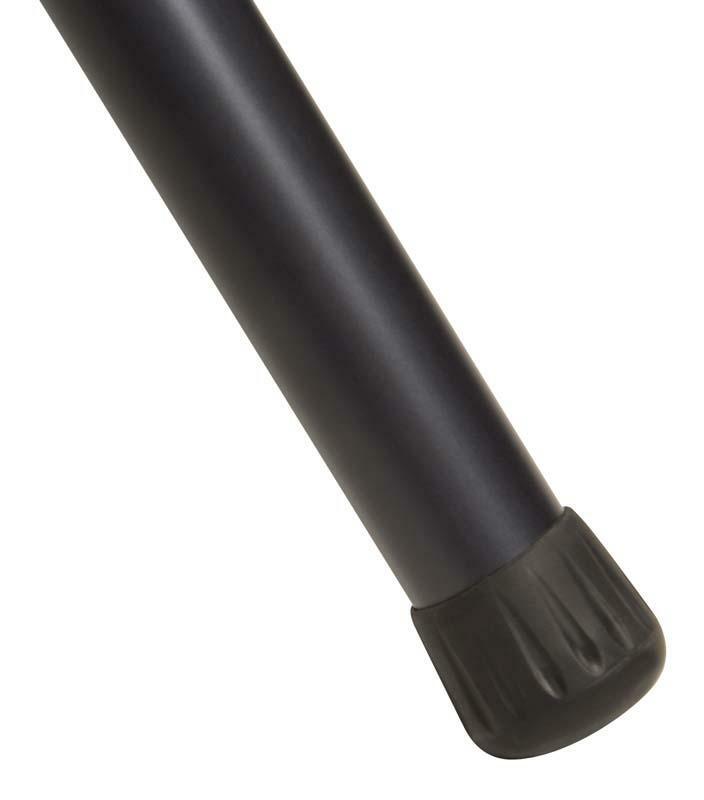 The TS-100B will not rust or corrode (thanks to its architectural anodized finish), is very smooth to operate, and is extraordinarily strong yet lightweight.